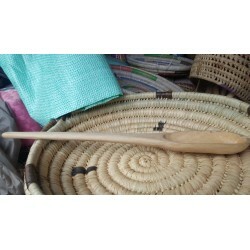 This wooden mwiko is durable and easy to clean. 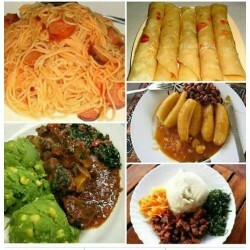 It is mostly used by the African people to cook a dish called Ugali. 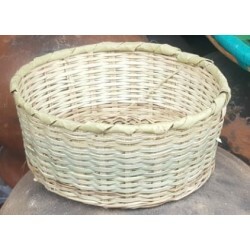 Eco-friendly and hygienic. 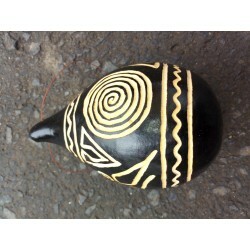 This is a Lagenaria Siceraria or better known as gourd or calabash. 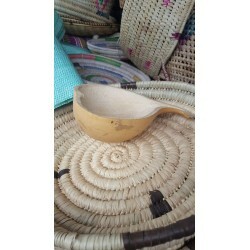 This half calabash has so many uses such as ; its used to serve porridge or to scoup food from large sufurias. It comes in different sizes. 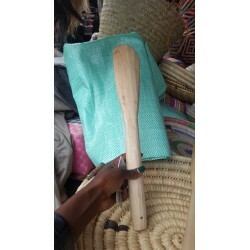 This wooden mwiko is durable and easy to clean. 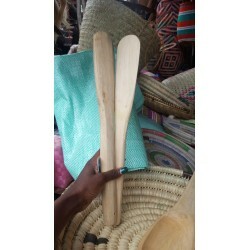 It is mostly used by the African people to cook a dish called Ugali. Eco-friendly and hygienic. Big size. 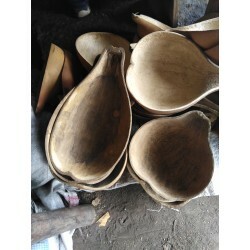 The calabash is mostly used by Africans.Calabashes have historically held an important place in the lives of West and Central Africans.Used for milk, beer, water, and medicines, they were part of both daily life and ceremonies. 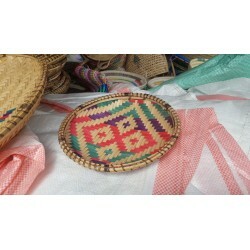 Comes in all sizes; small,medium and large. 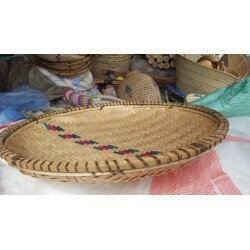 This beautiful bread basket or tray is woven in Kenya, using sisal and sweet grass. 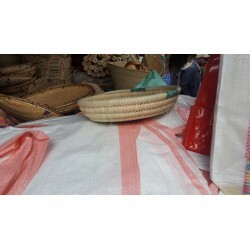 It is a beautiful piece for your dining table, coffee table, or mantle. 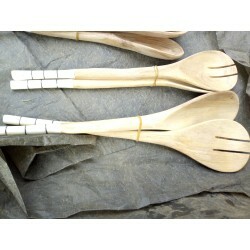 Can be used at homes, hotels, restaurants, and for outdoor activities. The drinking horn has been polished. 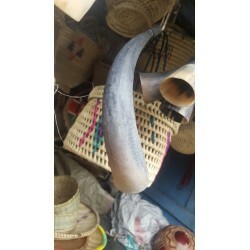 Made from a cow horn.Features a Natural Finish and cut from a solid piece of horn.Its a perfect vessel for drinking beer in occasions.Each natural horn is unique and may differ from the design pictured.All drinking horn is handcrafted from 100% natural horn. 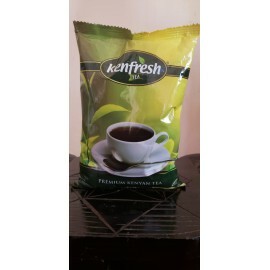 Kenfresh is pure high grade tea from the best crop. to capture that pure taste and aroma of famous Kenya highlands tea, only two leaves and a bud are handpicked from the farm, immediately processed and seal packed. 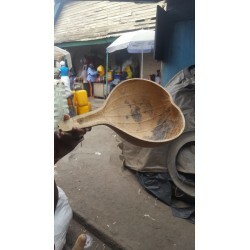 The calabash is mostly used by Africans.Calabashes have historically held an important place in the lives of West and Central Africans.Used for milk, beer, water, and medicines, they were part of both daily life and ceremonies. 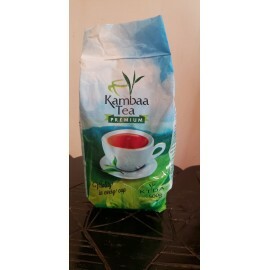 Kambaa tea comes from the finest hand selected tea leaves grown at high attitudes of the Aberdare ranges. It contains no additives, preservatives or artificial coloring. 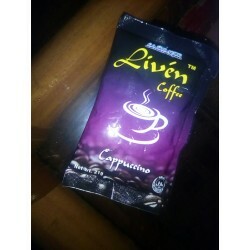 It also gives a refreshingly rich aroma, flavor and satisfying taste. 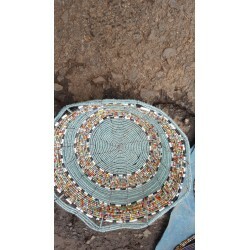 Beautiful handmade beaded place mat.Comes in different colours. 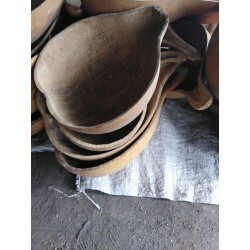 The shape is that of a bowl, can be used for putting table napkins or small bowls.